It had been proposed in 1951, that a Reserve Aircraft Control & Warning Unit, to be designated as No. 2451 AC&WU, be formed at Ste. Anne de Bellevue, Quebec to have an AC&W presence in the West Island area of Montreal. 2451 AC&WU was to have formed around the personnel of the 1 Radar and Communications Unit Detachment at Ste. Anne De Bellevue. The unit did, in fact, form, at least on paper, on 15 April 1951 but as there was severe difficulty in getting personnel recruited and employed, it was decided that the Unit would be officially disbanded as of 1 August 1951. Since the unit was more or less "stillborn" the unit number, 2451, was reserved for use in the future. 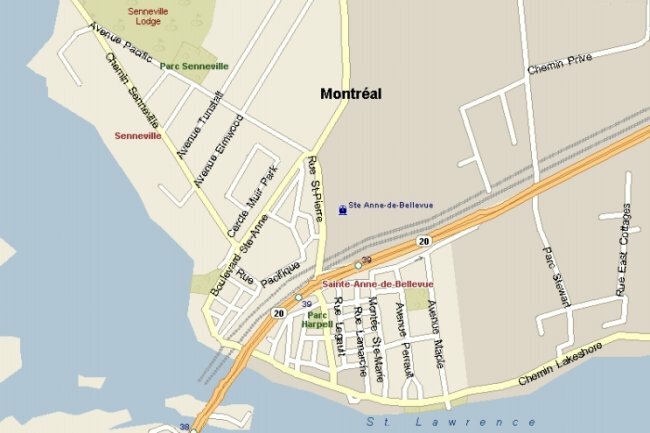 This map shows the location of St. Anne de Bellevue within Montreal. Organization Order 103/51 - 25 July 1951. 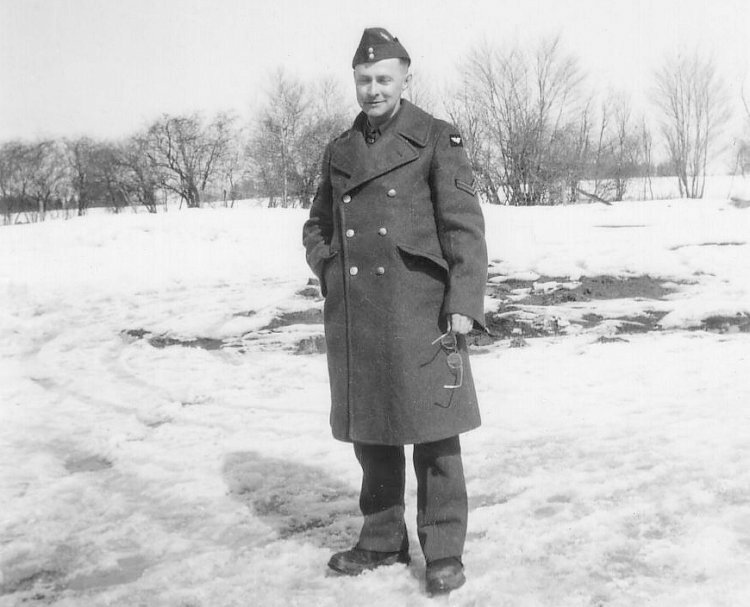 Courtesy of National Archives of Canada. Historical Narrative - 1 June 1951 to 30 November 1951. Extracts from 1 Radar & Communications Unit Historical Narrative. Organization Order 21/51 - 2 April 1951. IFF antenna with its three dipoles facing away from the viewer - March 1951. Ivan Mark of Canadian Aviation Electronics (CAE) is the acrobat. The box behind the reflector contained a motor-driven RF lobe-switching mechanism. 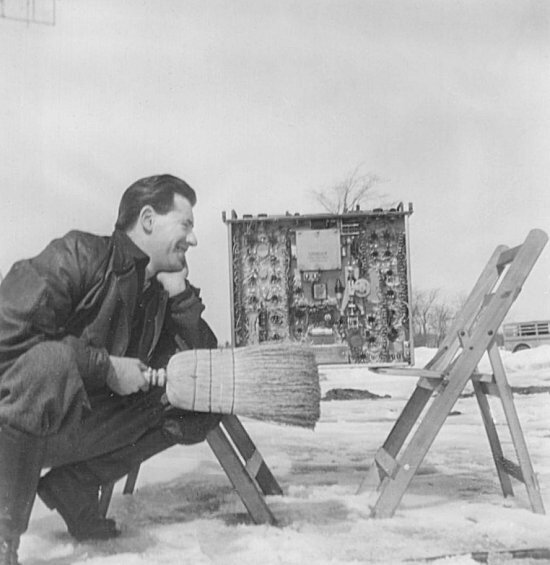 Ivan Mark appears ready to sweep the leaky capacitors from this IFF chassis - March 1951. 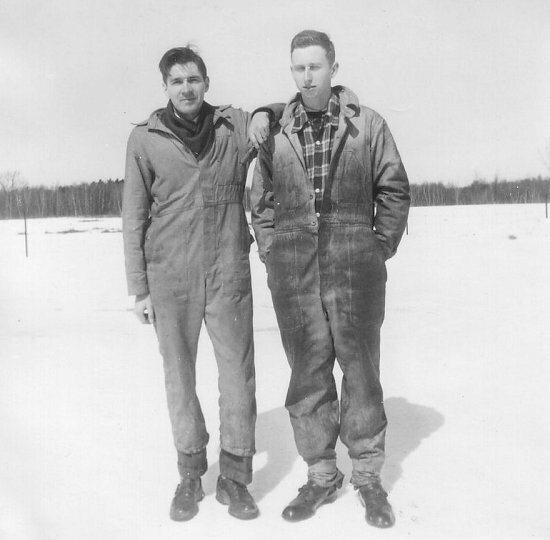 John Livick and John Ashdown in borrowed RCAF coveralls - March 1951. He tried to keep an eye on things - March 1951. 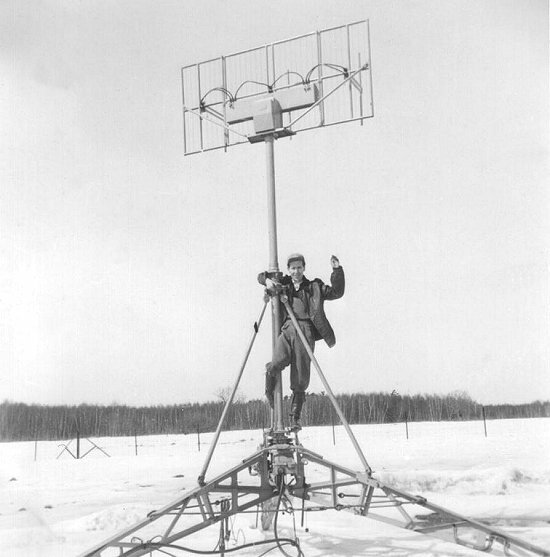 Checking out the antenna in winter weather - March 1951. 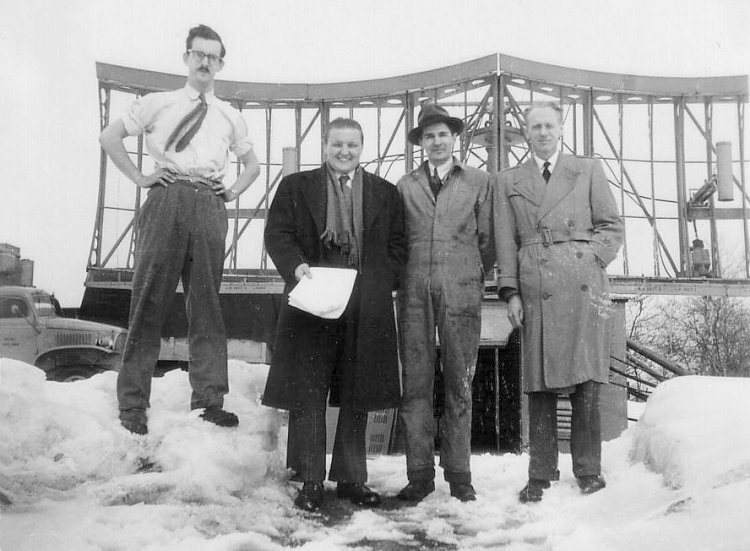 (L-R) - Jerry Lyman, Ken Asten (DNDIS), John Livick, Frank Watts. Historical Narrative - 1 June 1950 to 30 November 1950.